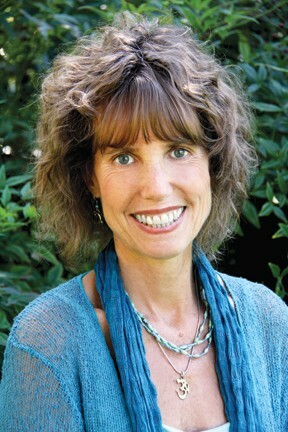 Brooks Newton is the co-founder of Hidden Springs Wellness Center where she offers Yoga Therapy. For decades she has provided coaching and, with her husband Rod, helped many couples grow and heal their relationships. We interviewed Brooks about her Yoga Practice. How did you get into Yoga Therapy? I’ve loved yoga for decades and have been a certified yoga teacher since 1999. I discovered Yoga Therapy when I was searching for help with my low back pain. I stumbled upon Gary Kraftsow’s yoga therapy DVD for low back, sacrum + hip pain, and after just one practice, my back felt better. It was amazing! Within two weeks I flew to a training with Gary to check it out. Everything he said made total sense to me. There was so much emphasis on honoring each individual and their specific needs. It brought tears to my eyes. I began my training with him shortly after that. What is the name of this type of yoga? It’s called Viniyoga. We focus a lot on breath, and movement of the spine, and on adapting the posture to suit the needs of the individual, rather than trying to fit the person into the posture. After all, no two people are the same! One of my joys during class is to look around the room and see everyone doing the same posture, but each with their own adaptation that they’ve learned to suit their body. Some may even be taking a break and resting, if that’s appropriate for them that day. Say more about what Yoga Therapy is. A Yoga Therapist creates a specific practice to help you address your individual conditions and needs, whether they be physical, mental, emotional or spiritual. Your specific program will usually include postures, breathing techniques, and some form of relaxation. Yoga Therapy is one on one, and quite in depth, exploring different aspects of your life to understand what might be contributing to your health condition. It’s specific to you and therapeutically oriented, so we can go much deeper than we can in a class. What does a Yoga Therapy session entail? It’s much more than just a private yoga lesson. In advance, you fill out a health history questionnaire, plus specific questions about any current health challenges. During the first session, we go over the questionnaire, and talk about what results you want from Yoga Therapy. I check your breathing patterns, observe your body structure, statically and dynamically, and we explore different yoga postures to see which would be best for you in addressing your particular condition. Based on all this I go home and put together a specific program tailored to meet your needs. Then we meet several more times to go over your program, and do the yoga practice I have created for you. I record your practice while you’re doing it and you leave with a home practice – both written out and recorded on a CD. Clients love it! They leave the center with a smile, their written practice and CD in hand, knowing they have their very own tailor made yoga practice. It was created just for them, specifically targeting their condition, to help move them toward healing. What health conditions can Yoga Therapy address? Because of how specific we can get with Yoga Therapy, it can help so many conditions. It can help many chronic physical ailments, such as aches and pains in the neck and shoulders, upper and lower back, sacrum, hips, knees and feet, sacroiliac pain, sciatica and scoliosis. It can also help with chronic diseases such as hypertension, hypotension, diabetes, asthma, allergies, digestive disorders, constipation, chronic sleep disturbances, chronic fatigue, hypo and hyperthyroid and PMS. It can also help mental and emotional conditions such as stress, anxiety, depression, mood swings, hyperactivity, memory and concentration. Yoga Therapy works on so many levels at the same time, because it helps restore balance to your body and frees up your life energy for healing. And that’s what I love about it! Of course, when I’m working with someone with a serious condition, I always make sure the person is under the direct care of a health care professional, and use Yoga Therapy to support and augment their existing program. Can you tell us about any specific benefits a client has achieved? One woman had severe hip pain. She learned to connect with her hip and actually developed empathy toward it. As she learned to slow down and listen to the needs of her hip, rather than getting mad at it, she was amazed to regain the ability to move her hip without pain. By shifting her attitude, slowing down and connecting, she invited healing. My family, and my spiritual practice. I have an incredible husband whom I adore, and 2 amazing kids. Also, I’ve had a daily meditation practice for 30 years now, and it’s a source of strength and peace for me. Do your kids follow in your footsteps? In some ways yes, and in some ways no – thank God! Our family is very close, but our kids follow their own paths. They both do yoga, and both have been drawn to work with people in nature and the wilderness. What is one personal fact about you that your clients might be surprised to discover? One of my favorite things to do is go backpacking in the wilderness with my family or close friends. I love the physical exertion combined with the quiet of nature, far away from civilization, plus jumping in those cold mountain lakes! Do you ever teach any Yoga Therapy classes? Yes. My friend and colleague Charlotte Nuessle (another Viniyoga therapist in town) and I offer Yoga Therapy classes at Hidden Springs. Charlotte is currently teaching a 6-week Yoga for Healthy Backs class, and I will begin my 6-week Yoga for Restful Sleep class starting Tuesday, October 25th. We only take 7 people per class because we want to make sure that every individual feels they are getting the full attention they need to achieve the results they want. Brooks October Yoga Therapy Special is a free 30 minute consultation, to see if Yoga Therapy would be helpful for you. Call Hidden Springs at (541) 488-8858 to schedule.